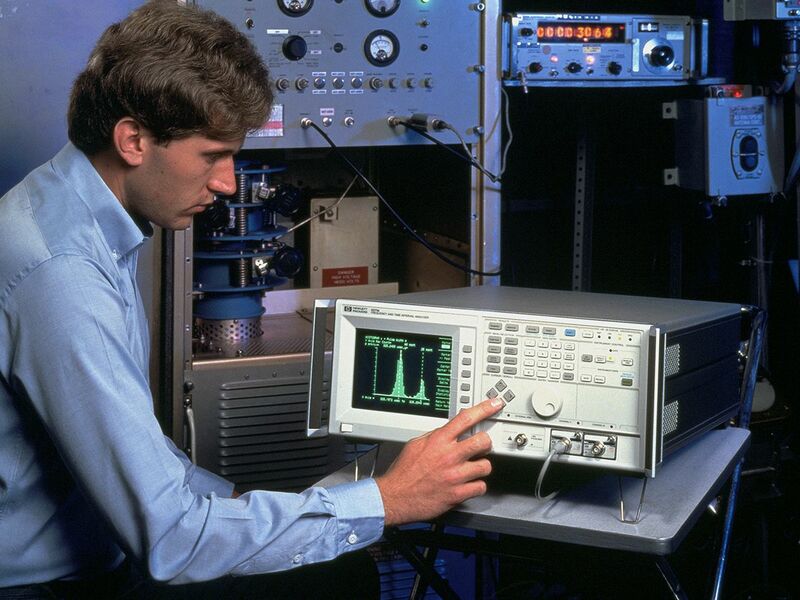 Founded as Hewlett-Packard in 1939 by industry pioneers Bill Hewlett and Dave Packard, Keysight Technologies offers a portfolio that includes countless industry firsts that help our customers innovate to connect and secure the world. 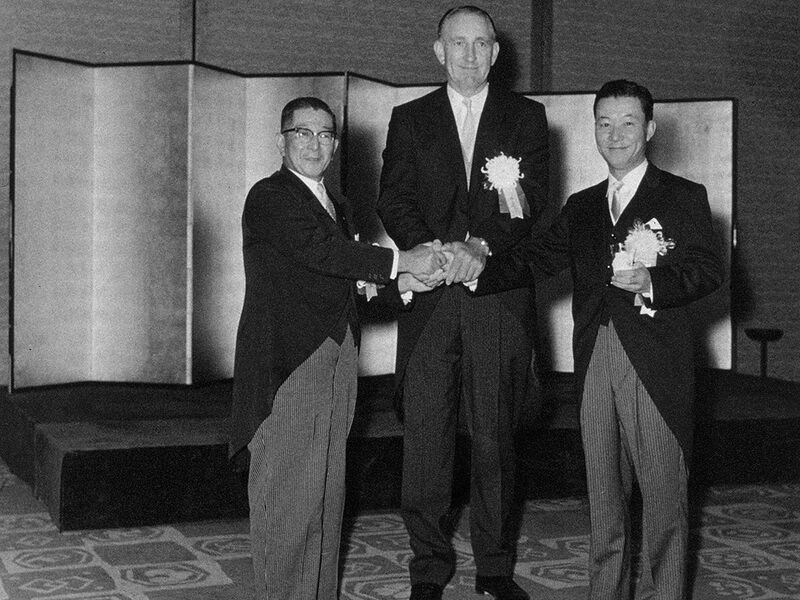 Today, Keysight’s story continues with the same unparalleled entrepreneurial tenacity and passion that has inspired innovators worldwide, helping them achieve the unimaginable. Discover how Keysight is helping customers drive innovation in 5G, automotive, Internet of Things, network security, and more. Learn about Keysight and what we can do for you. From the very beginning as human beings, we’ve believed in firsts. It’s the same belief that created light in the dead of night, and that proved man could indeed soar. 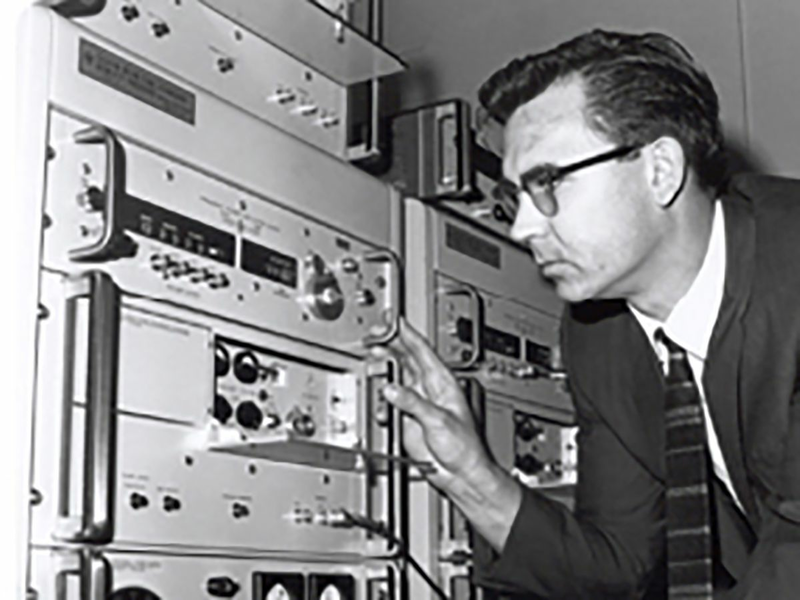 It’s the driving force behind groundbreaking industry firsts, from 1939 when Hewlett-Packard was founded, to present day Keysight Technologies. Following graduation from Stanford University in 1934, electrical engineers Dave Packard and Bill Hewlett went on a two-week camping and fishing trip in the Colorado mountains. 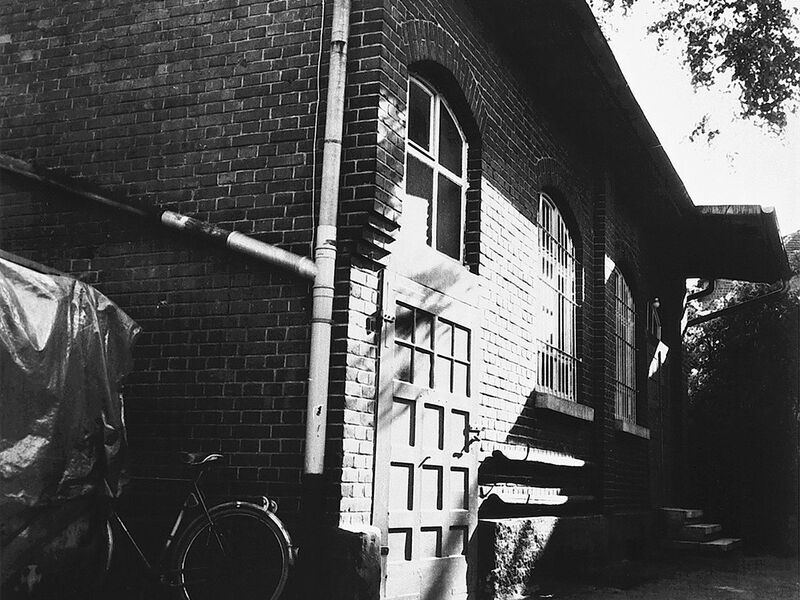 On this trip, they discovered a shared passion for innovation, and soon became close friends. Bill went on to pursue graduate studies at Stanford University and MIT, while Dave took a job with General Electric in New York State. Within a few years, and with the encouragement of Stanford professor and mentor, Fred Terman, they both found themselves back in California’s Santa Clara Valley. Bill and Dave decided to start a business and "make a run for it," working out of a garage. The One-Car Garage and "Birthplace of Silicon Valley"
The one-car garage behind 367 Addison Avenue in Palo Alto, California, doubled as a workshop for co-founders Bill and Dave. 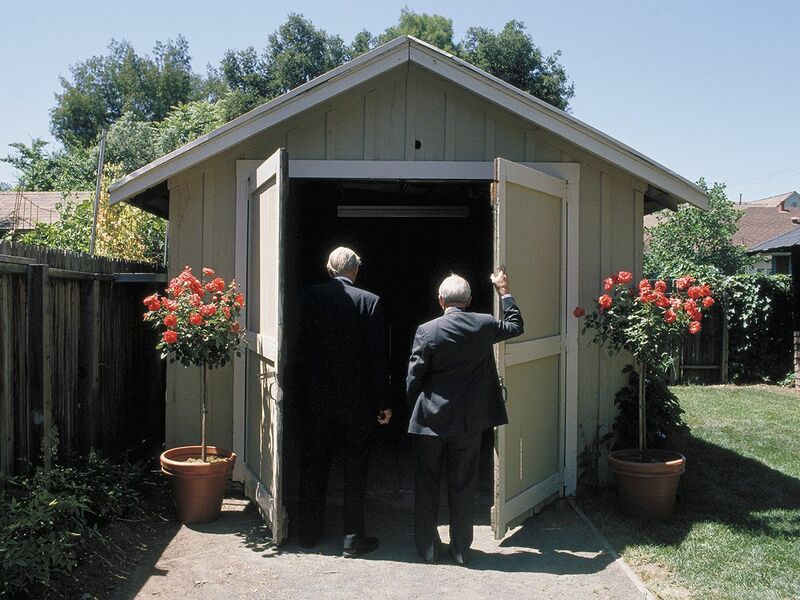 It is in this iconic garage where Bill Hewlett and Dave Packard innovated and manufactured what would become the company's first product, the 200A Audio Oscillator. 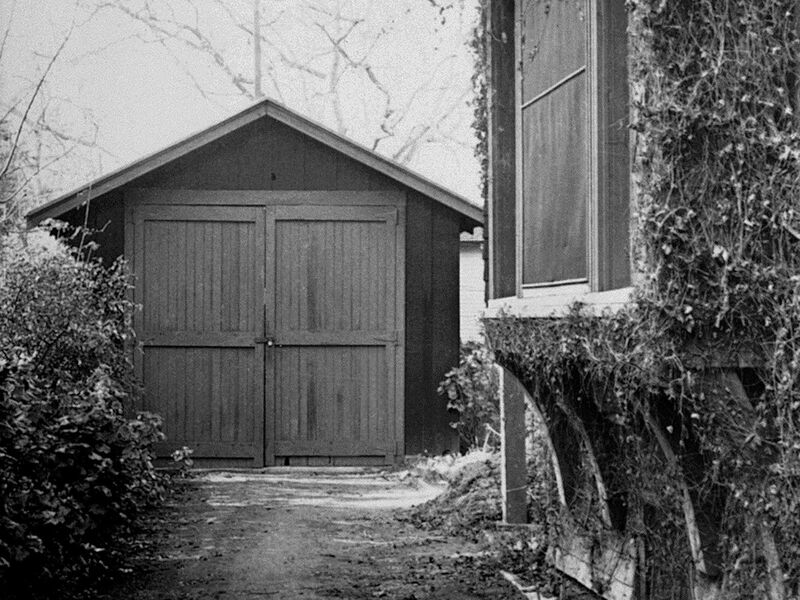 The garage holds such historic value that the location is recognized as the “Birthplace of Silicon Valley." 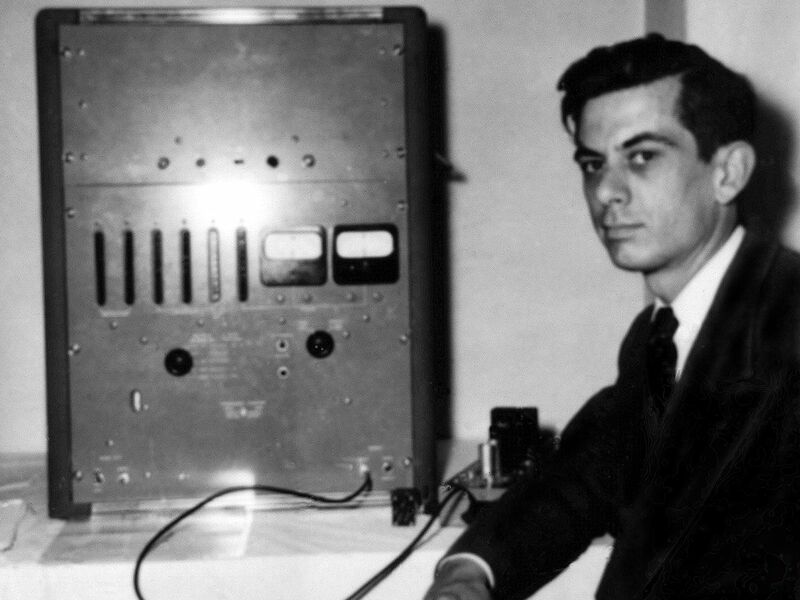 Bill Hewlett's study of negative feedback results in Hewlett-Packard's first product, the resistance-capacity audio oscillator (200A), an electronic instrument used to test sound equipment. The oscillator uses an incandescent bulb as part of its wiring scheme to provide variable resistance, a breakthrough in stability in oscillator design. 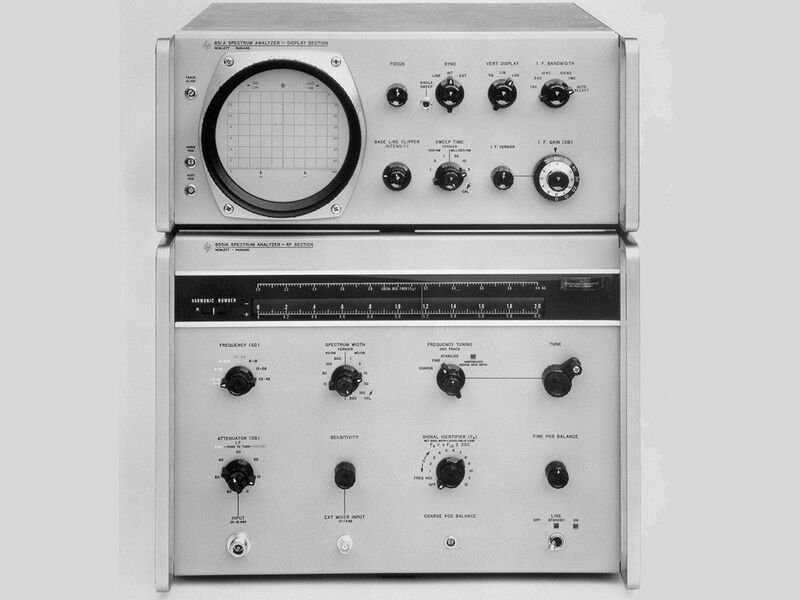 The principle of feedback provides the foundation for other early HP products such as a harmonic wave analyzer and several distortion analyzers. Walt Disney Studios orders eight audio oscillators to test and control sound equipment that will enable the groundbreaking multi-channel surround-sound system for the movie "Fantasia"
Test and measurement products win widespread acceptance among engineers and scientists. The start of World War II turns a trickle of U.S. government orders for electronic instruments into a stream and then a flood. This increase in production requires Hewlett-Packard (HP) to leave the garage for larger facilities. 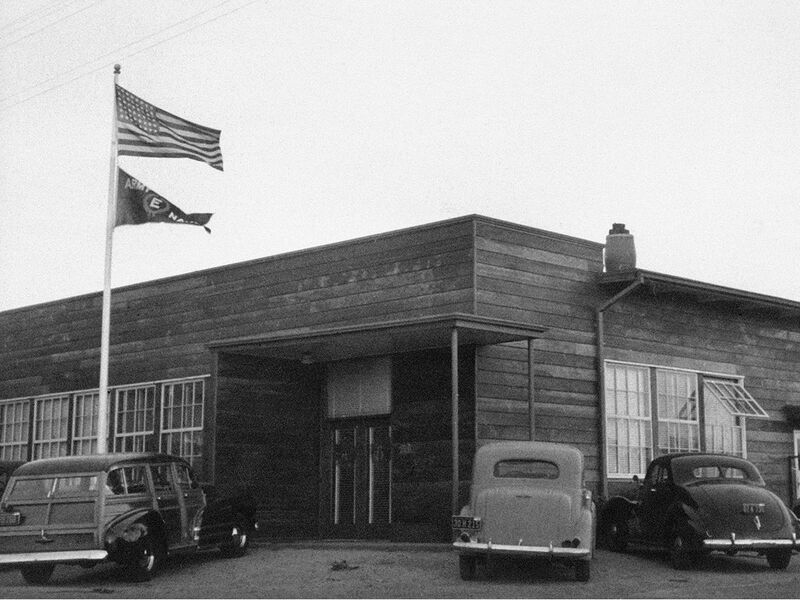 By 1942, HP operations move to the first company-owned building located at 395 Page Mill Road, distinctively known as the Redwood Building. Construction begins for the first company-owned building, a 10,000-square foot office/laboratory/factory (Redwood Building) at 395 Page Mill Road, Palo Alto. Bill Hewlett and Dave Packard designed it as an open system without interior walls, so space could be flexible. HP enters the microwave field with the Model A signal generator (developed for the Naval Research Laboratory) and a radar-jamming device. A complete line of microwave test products follows, and the company becomes the acknowledged leader in signal generators. 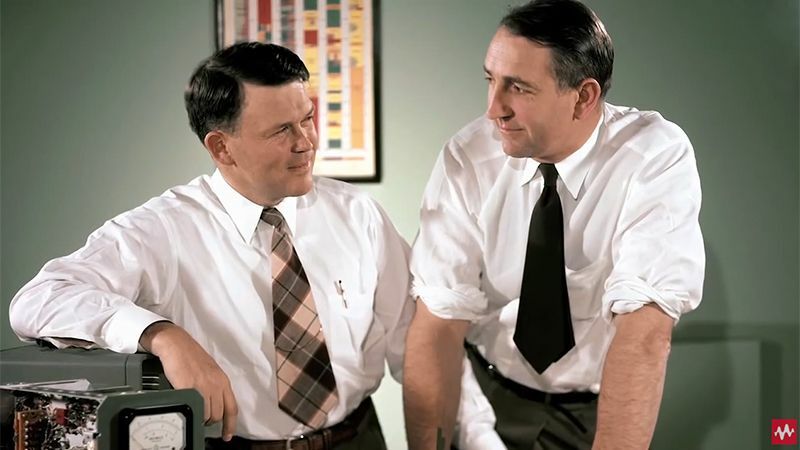 Bill Hewlett and Dave Packard develop the company's corporate objectives, the basis of its management philosophy dubbed “The HP Way." The company also embarks upon a path toward globalization by establishing a facility in Böblingen, Germany. The new 524A high-speed frequency counter dramatically reduces the time required to measure high frequencies. Test times are reduced from approximately 10 minutes, to one or two seconds. The product is a huge success, and is used for measuring everything from transmitter frequencies, to the accelerometers on which ballistic missile guidance systems were based. The test and measurement field continues its steady growth. The company branches out into related fields, such as medical electronics and analytical instrumentation, ending the period of HP as a pure-play electronic measurement company. It also begins to be noticed as a progressive, well-managed company, and a great place to work. This decade also sees the introduction of several innovative products, including the Cesium Beam "Atomic" Clock and the 8551 Spectrum Analyzer, the first product to provide the company with revenue of over 1 million dollars per month. HP launches the 5100A, the first synthesizer to generate electrical signals at a precise desired frequency, making it a major contribution to automated testing. The synthesizer was later used by NASA for communication with the Apollo moon landing in 1969. HP Laboratories is formed. As the company's central research facility, HP Labs is one of the world's leading electronics industry research centers. Today, it is known as Keysight Laboratories. HP introduced the 2116A, the company's first computer designed as a controller for test and measurement instruments, and marks the company’s first use of integrated circuits. The Woods Hole Oceanographic Institute used the 2116A on ships for nearly a decade to interface with laboratory instruments. HP introduces its first all-solid-state component oscillator. The oscillator’s small size, light weight, and large screen make it easy to use in labs, the field, and production work. HP engineers travel to 18 countries with the 5060A atomic clock to synchronize international time standards. Over time, the cesium beam standard is used in time-critical applications. 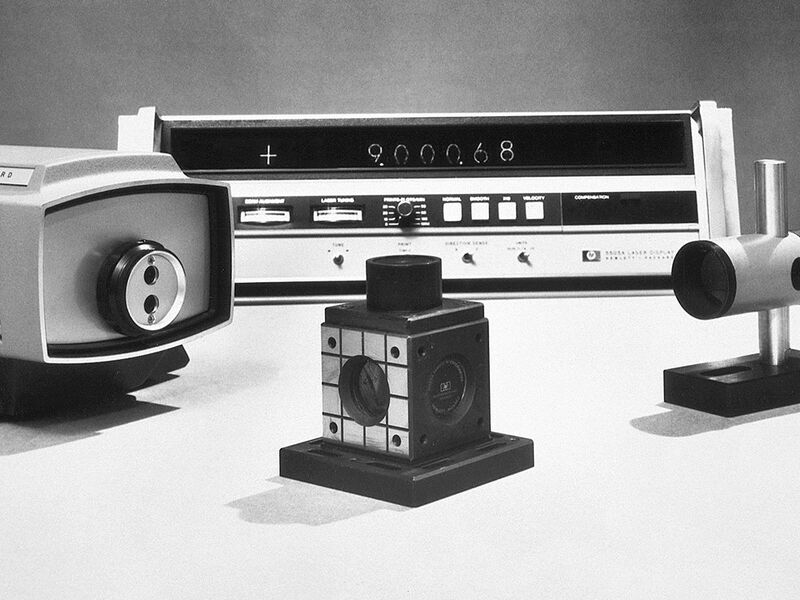 The company continues its tradition of innovation, with many more industry firsts, including the laser interferometer. As this decade – marked by significant growth in earnings and employment – draws to a close, Bill Hewlett and Dave Packard delegate day-to-day operating management of the company to John Young. 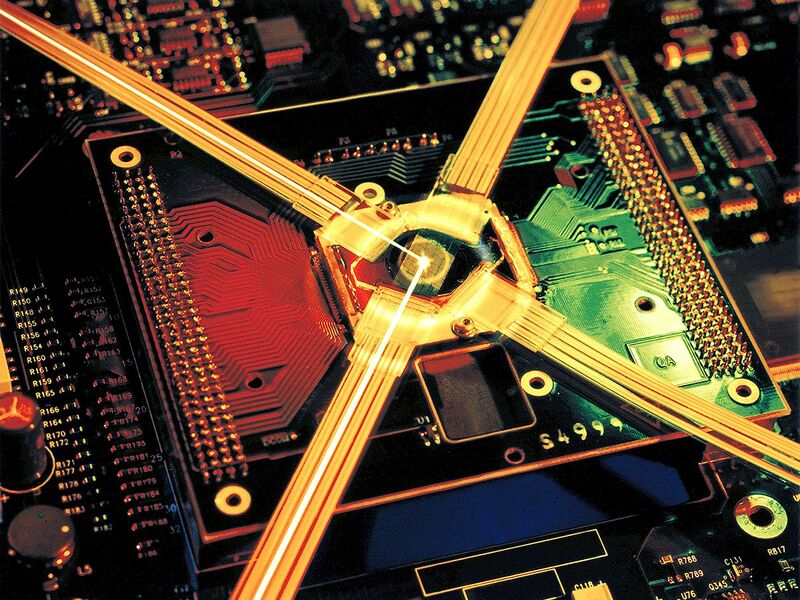 HP produces a laser interferometer capable of measuring to millionths of an inch. The laser interferometer remains the standard for precision measurement of the most challenging applications in semiconductor lithography, aerospace/defense, metrology, and manufacturing. HP establishes operations in Penang, Malaysia, with 60 employees producing core memory stacks in a rented bungalow on Macalister Road. Operations later move to the Bayan Lepas Free Industrial Zone, in a facility that sits on 36 acres. The electronics industry adopts the HP-IB (Interface Bus) as an international standard. The standard allows up to 14 instruments per bus to connect easily to a computer. HP-IB is later known as GP-IB. The HP Foundation launches with a focus on philanthropic contributions. 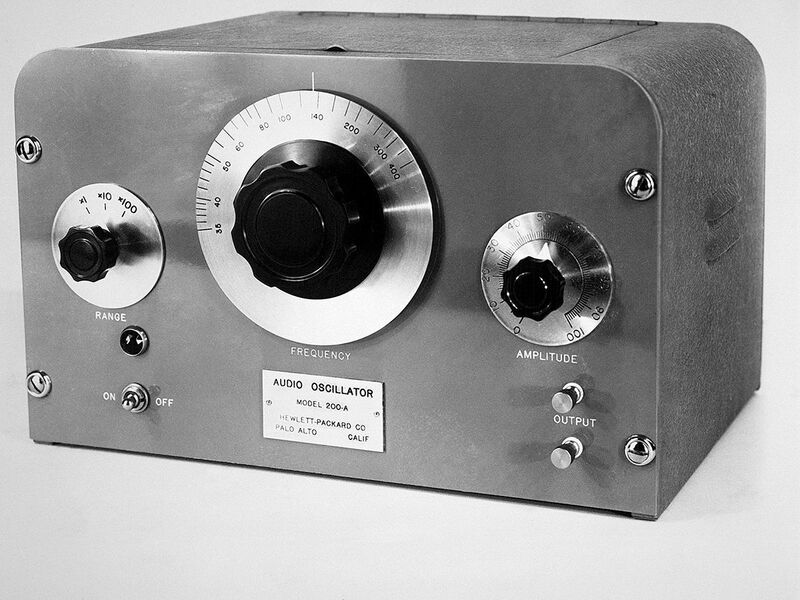 Years later, the Agilent Foundation and Keysight Foundation debut. The company’s giving becomes an integral component of its corporate social responsibility. Computer technology results in higher performance products at lower price points. In 1989, HP celebrates its 50th anniversary. The pace of change accelerates with web-based information and applications becoming pervasive, competition intensifying, and time-to-market cycles greatly reduced. In 1999, Agilent Technologies is formed as the result of a spin-off of HP’s "Medical Products and Instrument Group." HP’s Broadband Series Test System emerges as an industry standard, the first to test ATM and broadband ISDN networks, and the first to integrate testing of all layers. The system helps the industry prove that these new technologies can form the basis of an information highway for transporting voice, data, image and video over the same network. Decades of experience in quartz technology and cesium time standards result in new network timing synchronization products. Networks function with greater accuracy and reliability, delivering new digital services for voice, data, and video communication. HP introduces the broadband service analyzer, a new portable tool for installing broadband networks. It sets up complex tests to measure network quality with the touch of a button, and makes Asynchronous Transfer Mode (ATM) technology more accessible. The 95000 HSM high-speed memory test system can be used for high-volume production testing of RDRAM chips. These chips operate at 800 MHz and offer memory-chip manufacturers the smallest footprint, lowest cost of test, and lowest-risk solution available. 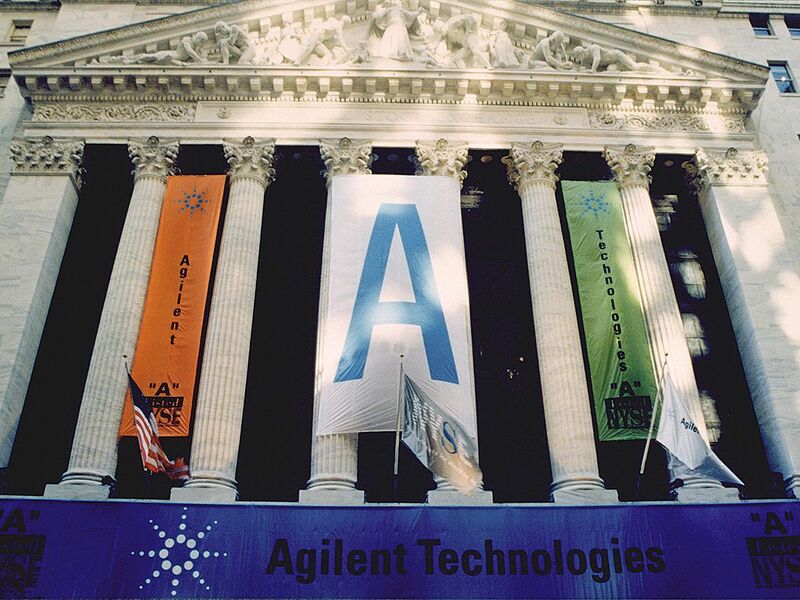 Following its successful IPO in 1999, Agilent Technologies becomes a fully independent measurement company focusing on high-growth markets in communications, electronics, and life sciences. Recognized as an industry leader, Agilent is first worldwide in the test and measurement market. Agilent launches LXI Class C compliant DC Power Supplies: N6700 and N5700 series that are optimized for automated test equipment systems. They are the first of their kind to receive LXI Class C certification by the LXI Consortium. All of the company's locations in the San Francisco Bay Area are consolidated into a single 55-acre campus in Santa Clara, California. Originally a manufacturing site built by HP in 1968, it is now the centralized location of many functions including the company's Corporate Headquarters, formerly located in Palo Alto. Agilent introduces the E6651A, the world's first integrated Mobile WiMAX test set, enabling designers and manufacturers of Mobile WiMAX subscriber products to rapidly move from development to volume production. This improves the integrity and quality of WiMAX devices while reducing cost. Agilent and SunPower Corporation dedicate a 1-megawatt solar tracking system at Agilent's Santa Rosa, California, campus. The largest solar energy generator in Sonoma County, the system is projected to displace more than 90 million pounds of carbon dioxide over 30 years. This is equivalent to the emissions from approximately 7,500 cars. Agilent launches the PNA-X Measurement Receiver, the industry's fastest receiver for antenna test applications. It sets a new industry standard with a 30 percent faster data acquisition speed than any other antenna receiver on the market. Agilent introduces the PXB MIMO Receiver Tester for quicker, more accurate test of Multiple-Input-Multiple-Output (MIMO) receivers earlier in the design cycle. It provides the best simulation of real-world conditions available on the market, and significantly reduces development cycle time. Agilent introduces the PSG E8257D, the industry's first microwave signal generator that breaks the one watt output power barrier. The ultra-high output eliminates the need for supplemental hardware such as amplifiers, couplers and detectors. 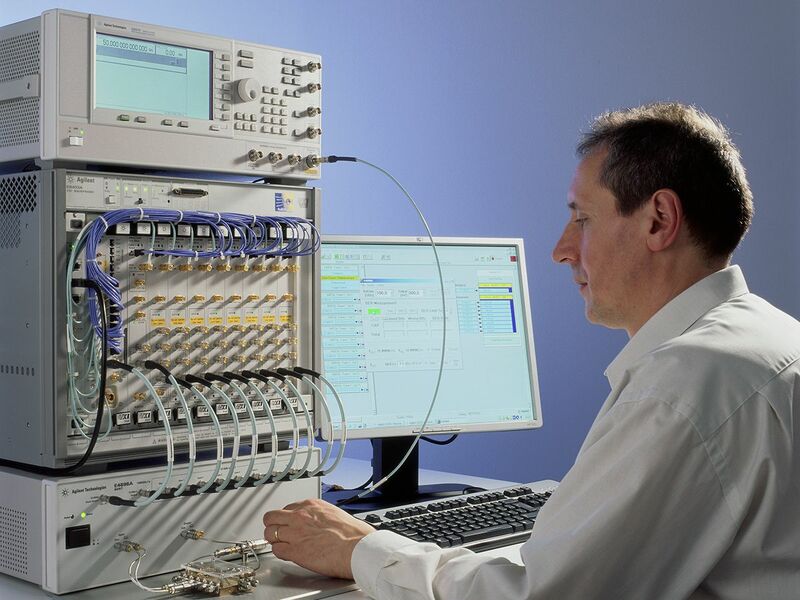 Agilent introduces an inline error injection tool for PCI Express® (PCIe) protocol testing. This breakthrough concept for PCIe testing is an industry first, and allows developers to shorten test cycles and improve device time-to-market. In 2013, Agilent Technologies announces it will split into two separate pure-play measurement companies. The new electronic measurement company is named Keysight Technologies. Keysight becomes a fully separate electronic measurement company on November 1, 2014. It is listed on the New York Stock Exchange on November 3, 2014, with ticker symbol KEYS. Agilent Technologies releases key enhancements to the 89600 vector signal analysis (VSA) software, a critical tool for R&D engineers, with support for the most demanding PHY layer analysis needs of the wireless communications industry. LTE, HSPA+ and GSM EDGE-Evo analysis tools allow engineers to dig deeper into signals to find and fix the causes of physical layer problems. Agilent Technologies announces that it will split into two separate measurement companies. The new electronic measurement company is called Keysight Technologies with headquarters in Santa Rosa. Ron Nersesian is president and CEO. 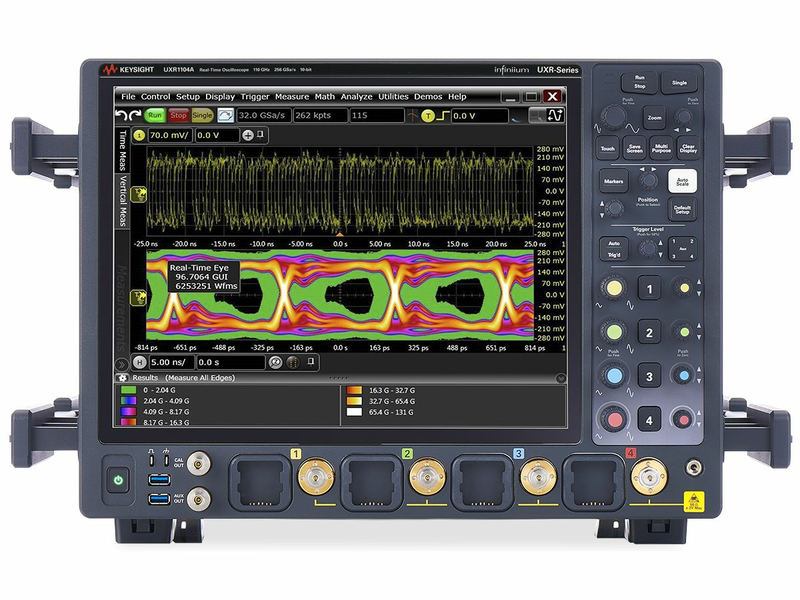 On November 1, Keysight Technologies becomes a fully separate electronic measurement company. Keysight lists on the New York Stock Exchange under ticker symbol KEYS, completing the final phase of its separation from Agilent. Ixia acquisition accelerates expansion of software solutions and broadens reach within the communications development lifecycle throughout protocol layers 2 through 7. 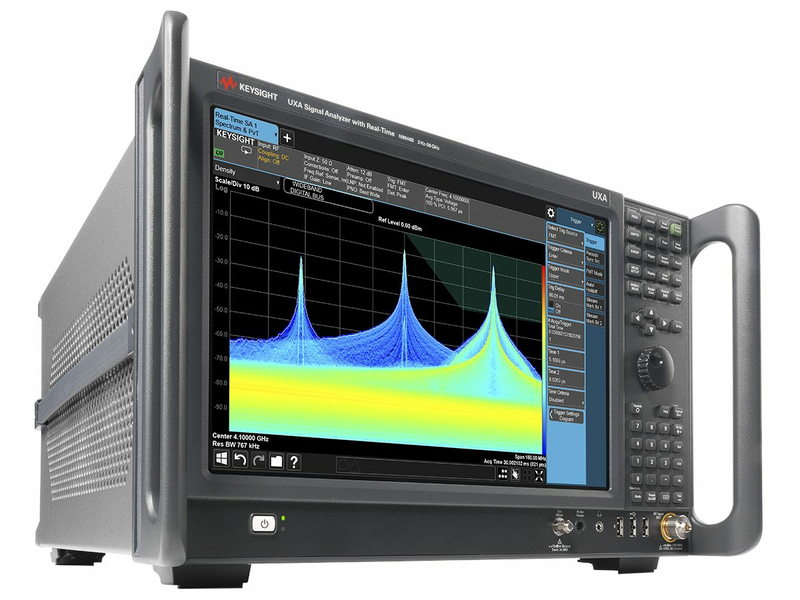 Keysight’s portfolio now includes end-to-end solutions for the development of next-generation technologies, including network optimization and security. 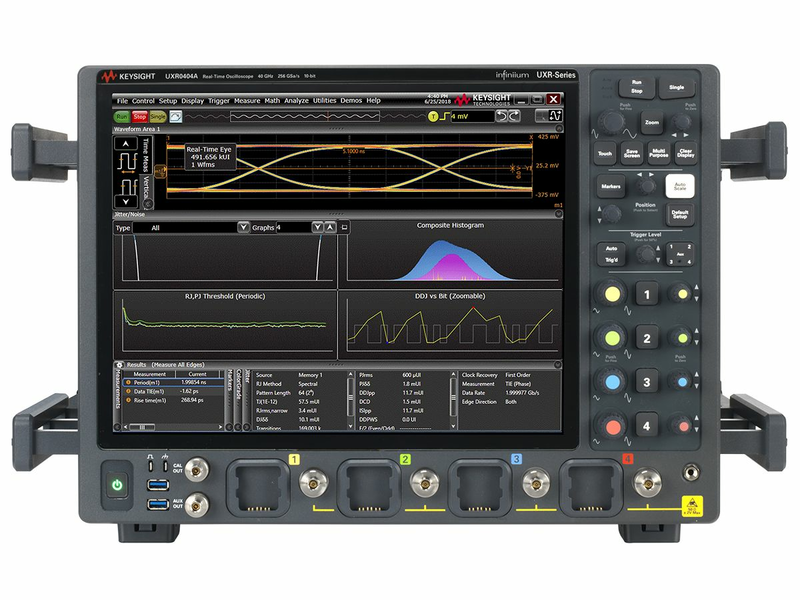 Keysight announces ten new PXIe instruments to advance research in 5G, aerospace and defense, and quantum technologies. Instruments include arbitrary waveform generators, digitizers and oscilloscopes that provide up to 1 GHz bandwidth for complex baseband IQ signal generation and analysis. Hope amid the 2017 Tubbs fire devastation. Keysight CEO Ron Nersesian emphasized people first. 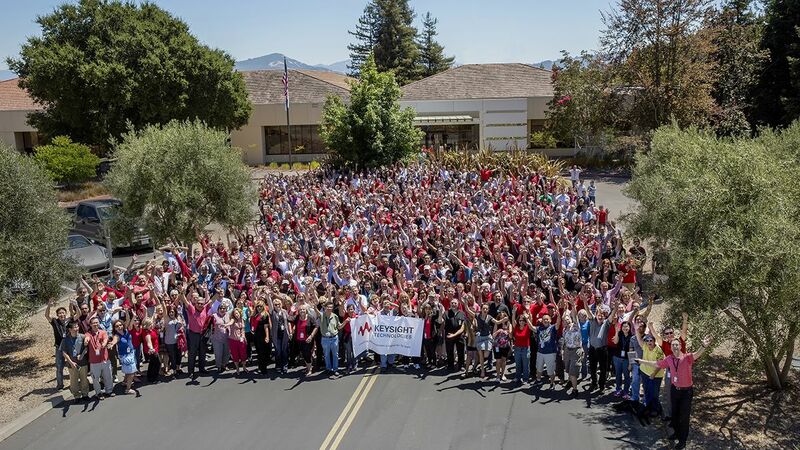 Keysight restores its headquarters and manufacturing operations without a single order being cancelled amid evacuations and building damage resulting from the devastating 2017 Santa Rosa Tubbs fire. CEO Ron Nersesian emphasized, “People first; response and resources second” as the company helped employees and community deal with losses. 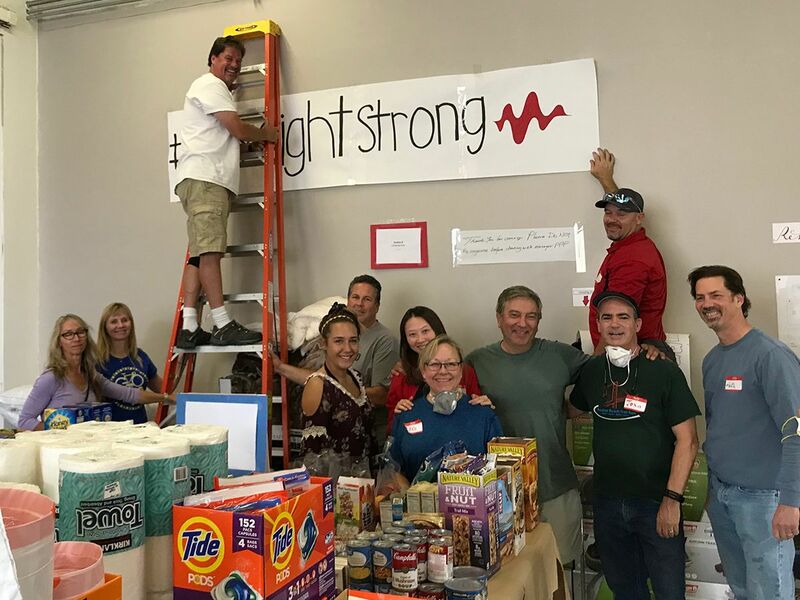 #KeysightStrong becomes the rallying hashtag that comforts, motivates and unites employees all around the globe, pulling the company and people together to overcome devastation and returns stronger, more resilient and more resourceful than ever. 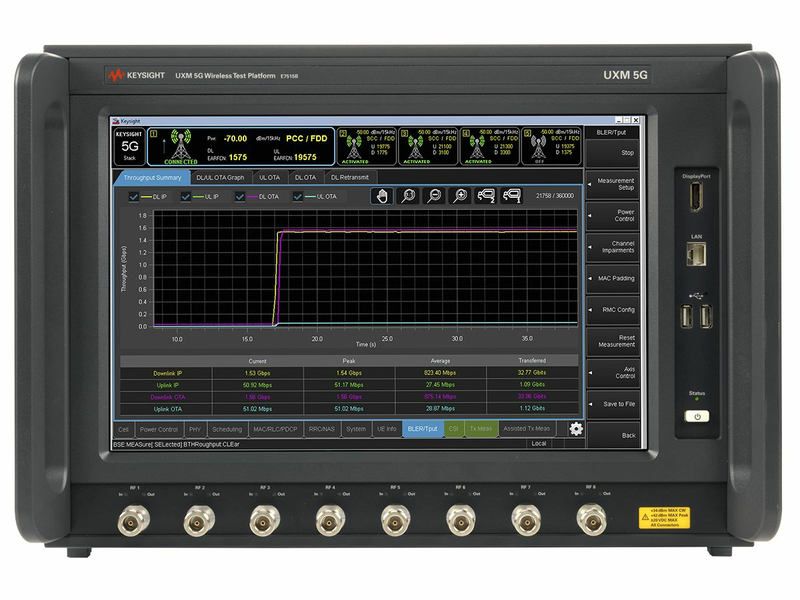 Keysight introduces industry’s first 5G New Radio (NR)-ready channel emulation solution with early adoption by five major communications customers. This comes after delivery of the first-to-market 5G millimeter-wave channel sounding solution. Keysight is certified as a Great Place to Work by the leading global authority on high trust, high performance culture in the workplace. 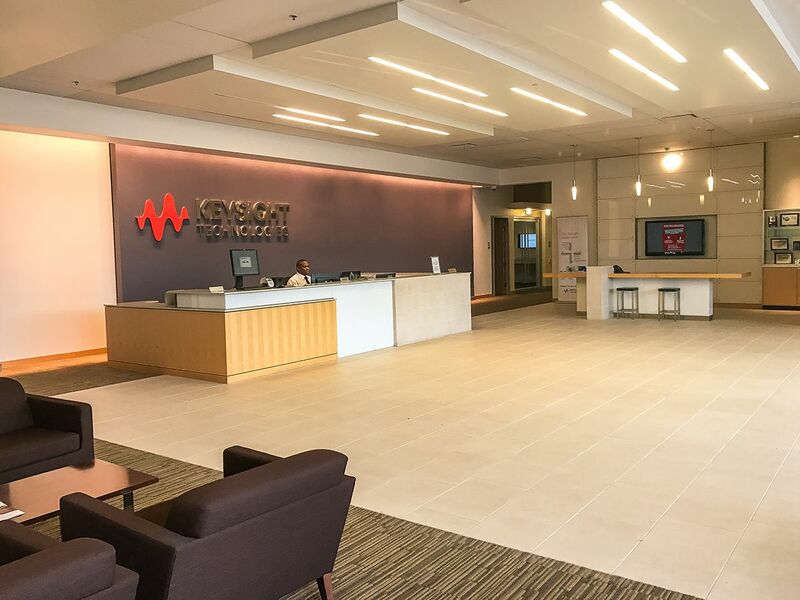 Great Place to Work® surveyed employees and 92% said they are proud to tell others they work at Keysight.